Matutu was responding to Malema's statement where he said, "Mnangagwa must know that we do not support tyranny. If you unleash soldiers on citizens and block internet in this era you are a fool. You are barbaric and we will fight you. Mnangagwa must beware of Chiwenga, that former military General who wants to bring military dictatorship into Zimbabwe." Said Matutu, "The Youth League respects other political organizations in and outside the borders of Zimbabwe particularly within the region however EFF particularly Julius Sello_Malema must understand that EFF is not an African opposition party but SA opposition party. "It is critical for EFF and its leader Julius Malema to understand that ZANU PF as a political organization and Zimbabwe as a country deserves some respect, comments about other countries need maturity and diplomacy especially when going against the elected government." Matutu said the youth League welcome Malema's call for the lifting of sanctions against Zimabwbe but they caution him not to offload his bitterness towards the African National Congress on ZANU PF. 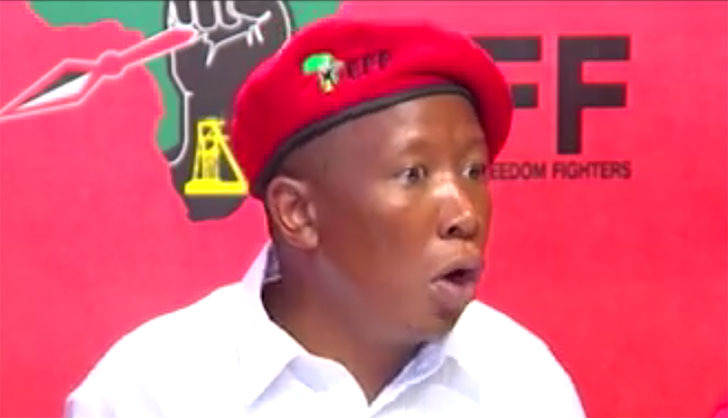 "Also Julius Malema's call for the lifting of illegal sanctions imposed on Zimbabwe is very much appreciated but he shouldn't offload his bitterness against ANC (the party that brought political freedom to SA) on ZANU PF particularly our President Cde Emmerson Dambudzo Mnangagwa." Malema statements come at a time when the members of the Zimbabwe Republic Police and the Zimbabwe National Army are implementing a law and order operation in western suburbs of Harare and Bulawayo. The operation has left more several citizens dead, scores hospitalized while thousands are languishing in remand prison with some being convicted for participating in the January 14 violent protests.